Three stone platinum flower ring. 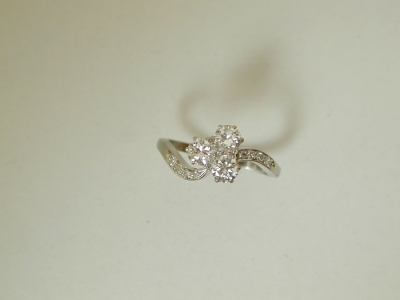 Three stone platinum diamond flower ring with diamond set shoulders. All of our jewellery is hand made in New Zealand.